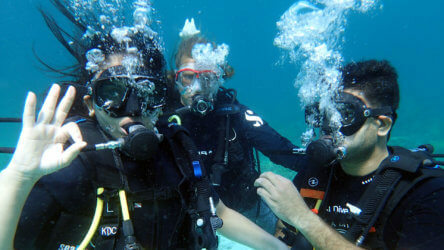 Having Trouble Choosing Your Itinerary On Your Phuket Scuba Diving Holiday? 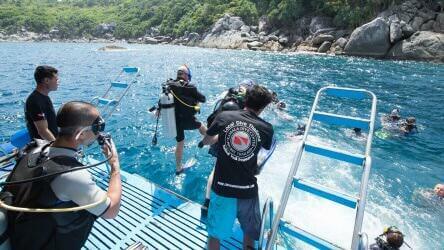 The best dive site in Phuket is of course subjective. 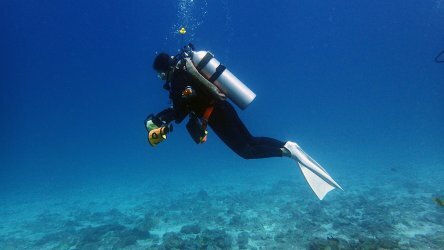 Scuba diving in Phuket offers a variety of different dive types and it can be difficult to choose which trip to join especially if you have only one day. So we’ll try to help you make up your mind with our top picks covering various different styles of dive site. I’m going to omit the South Tip of Racha Noi from this list simply because although it’s a fantastic dive site we simply can’t get there often enough to justify it’s inclusion. So for great vis we’ll probably have to say Banana Bay/Rock at Racha Noi. We expect 20m visibilty and quite often get more, although it’s not teeming with life we can still find some great wildlife and the topography at Banana Rock is quite stunning. 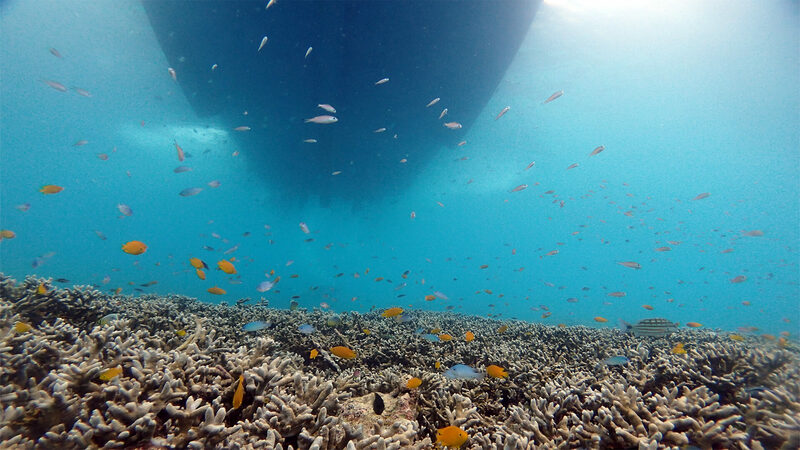 Huge granite boulders tumble down into the deep very much like the dive sites in the Similan Islands. 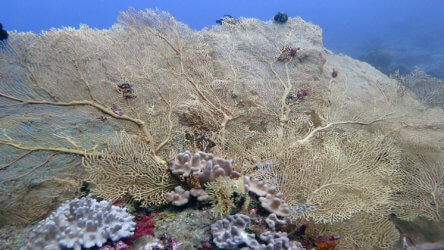 After the coral bleaching in 2010 it’s only place around Phuket that has extensive staghorn coral gardens. It’s also the best day trip site for oceanic manta ray sightings although you need to wear your lucky underwear. We’re blessed with a wealth of different species around Phuket but one site stands out from the rest for critters. Koh Doc Mai is definitely not a site where you expect great visibility but that really doesn’t matter. Your dive will be spent with your eyes trained on the walls looking in all the cracks and crevices for the weird and wonderful. Seahorses, ornate ghost pipefish, jann’s pipefish, plenty of different shrimp and lots of different species of nudi can be found on it’s seemingly living walls. The King Cruiser hasn’t got any real competition but it would be hard to beat anyway. It’s been down along time now (1997) and the marine life has almost completely engulfed the entire 85m long by 25m wide structure. 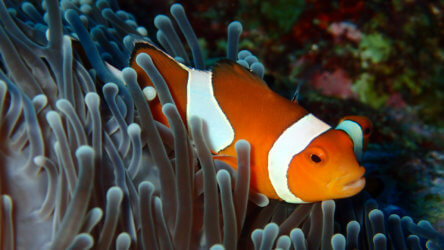 It attracts huge schools of fish of many different species and is a haven for some unusual nudi’s. it’s not possible to penetrate anymore but the usually dark water gives the wreck a great atmosphere. Koh Bida Nok at Phi Phi is an all in one dive site. There’s a calm bay, steep walls, sandy slopes, great coral gardens and lots of rock formations away from the main portion of the site. This multitude of environments attract a huge variety of species, blacktip reef sharks, hawksbill turtles, leopard sharks are all common sightings at Koh Bida Nok. Huge schools of snapper and juvenile barracuda congregate outside the bay and are constantly marauded by gangs of golden and bluefin trevally. Rarer sightings include whale sharks, harlequin shrimp, ornate ghost pipefish and tigertail sea horses. This huge variety and great corals makes in our opinion Koh Bida Nok the best dive site available on the Phuket day trip circuit. Posted in Amazing Local Dives on October 31, 2016 .